It’s been a bad two-year stretch in Malawi: The southeast African nation has suffered back-to-back devastating natural disasters. 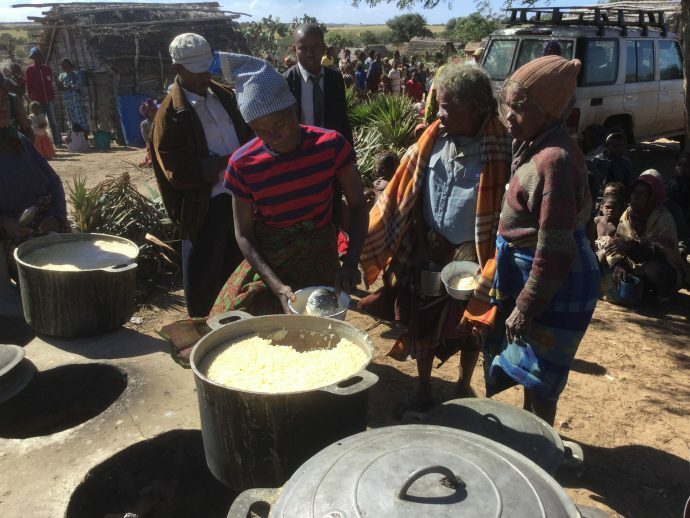 In 2015, record-breaking flooding left tens of thousands stranded in southern Malawi, and this year El Niño brought historic drought and widespread crop failures, pushing 6.5 million people into dangerous levels of food insecurity. 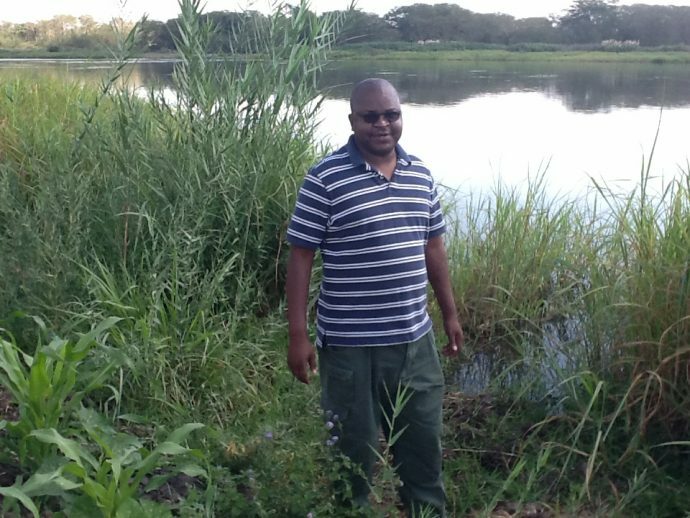 Before beginning his career with USAID 10 years ago, Emmanuel was already heavily involved in food security issues as a planner in the Office of the Minister of Agriculture in Zambia, as well as a manager in Zambia’s Food Reserve Agency. 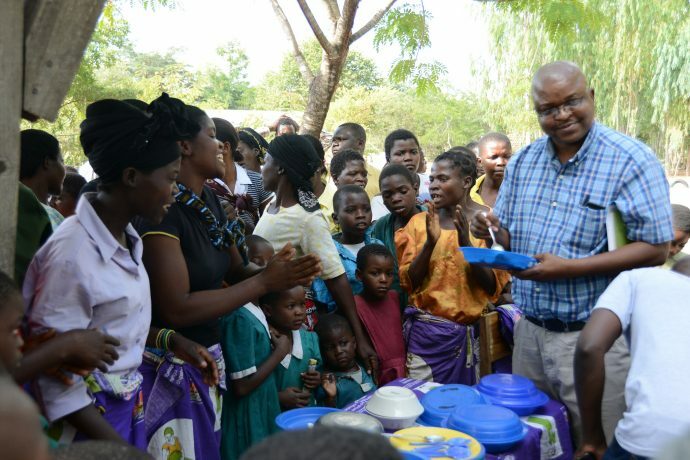 As a program specialist for Food for Peace in the USAID mission in Zambia, Emmanuel spent four years deepening his passion for helping rural communities find long-term solutions to hunger. That fervor traveled with him when he relocated to Malawi to help communities recover from crises and develop lasting food security. Emmanuel’s favorite part of his job is getting out into the rural communities to meet with people, work together and see the fruits of his work flourish. He says he’s always impressed at how many ideas the communities contribute to become more resilient and break the chronic cycle of hunger and poverty. One woman’s innovative idea in particular stands out to Emmanuel: Ezelyn Kazamira participated in a USAID-funded Village Savings and Loan group and used her dividend to purchase and rent out a motorized pump to farmers in her village to assist with irrigation. He’s referring to disasters such as the historic floods in 2015, during which Emmanuel helped USAID and the U.N. World Food Program successfully preposition stocks of food in order to reach the communities hit hardest. 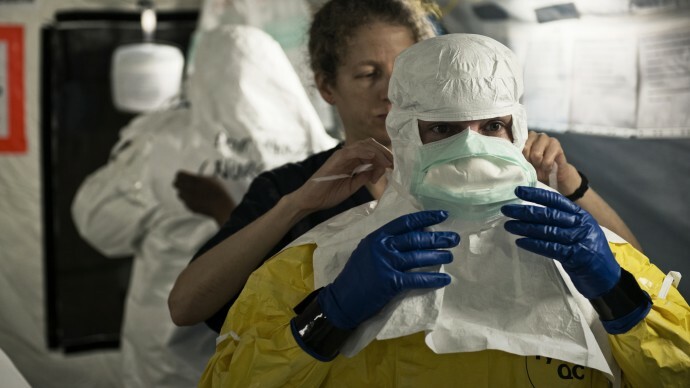 Or regional disasters like the Ebola outbreak—Emmanuel’s most memorable and biggest emergency to date. 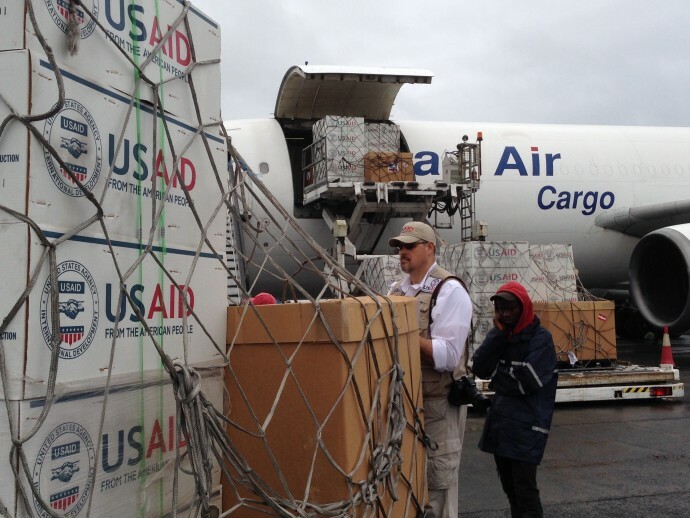 He, alongside others in USAID’s disaster assistance response team, made sure families could still access food, despite closed borders, limited movement and depleted markets. 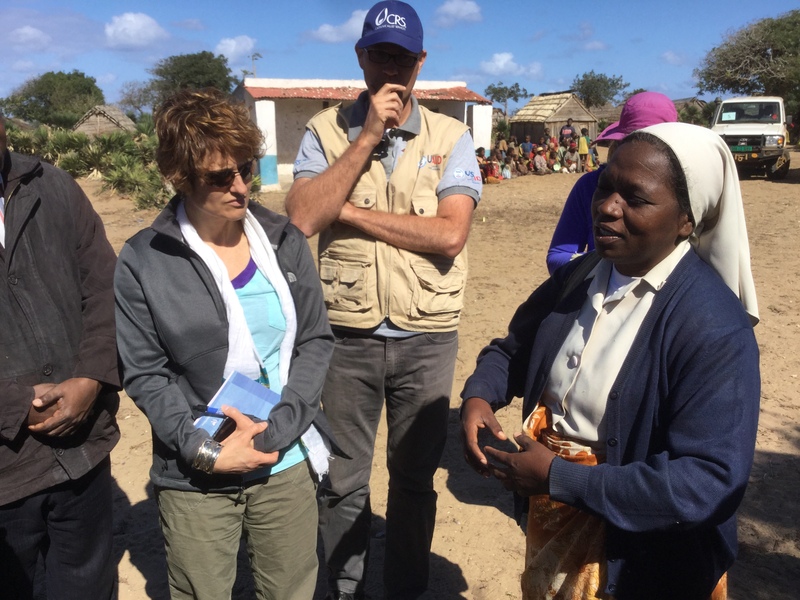 Despite these food security challenges, food insecure families are in good hands with Emmanuel on the ground. For the last 10 years, he has been championing both emergency and development food assistance efforts. And if food assistance were an Olympic event, Emmanuel Ngulube would win a gold medal. Emma Fredieu is an information officer for USAID’s Office of Food For Peace. Follow FFP’s tweets @USAIDFFP. 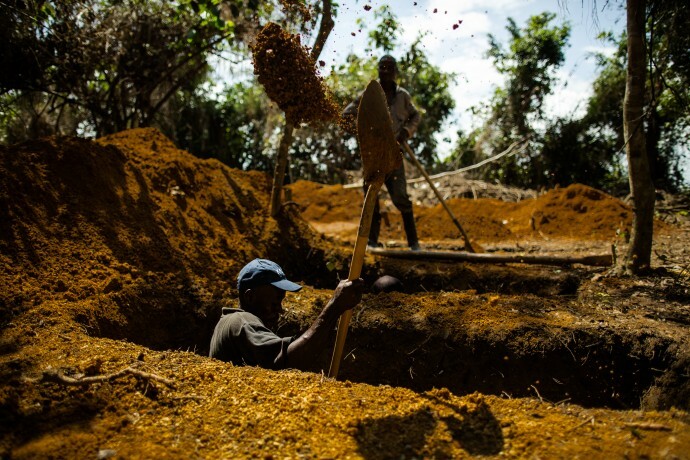 Check out more on our work in Malawi. Read more about programs such as the Wellness and Agriculture for Life Advancement and Village Savings and Loan in Malawi. 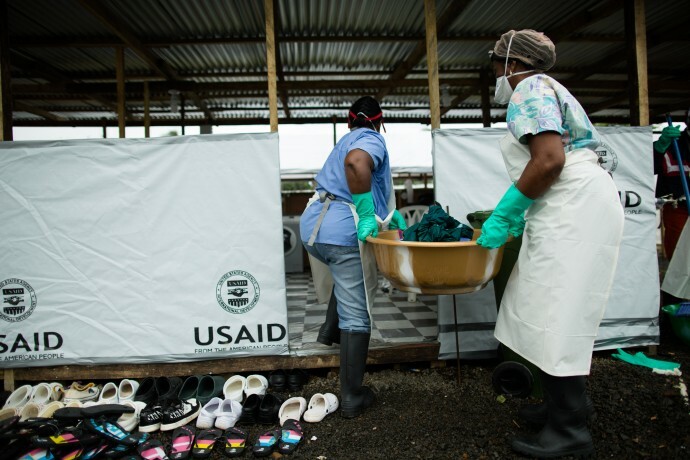 Read about USAID’s Office of Food for Peace’s response to the Ebola outbreak. His story — and that of the 12 other refugees who drowned with him — is part of a greater humanitarian tragedy unfolding worldwide. According to a new report released by the Internal Displacement Monitoring Centre, 40 million people globally were internally displaced due to conflict and violence by the end of 2015 — the highest figure ever recorded. 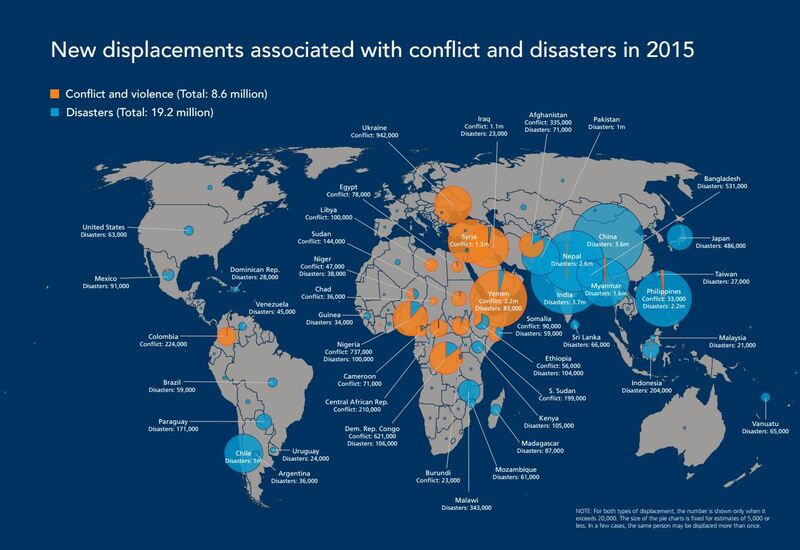 More than 21 percent, or 8.6 million people, were newly displaced in the last year alone. Most of these displacements occurred in the Middle East and North Africa, where fighting in Yemen, Syria and Iraq contributed to more people being displaced in this region than in all other regions in the world combined. We also support activities that protect the most vulnerable — like women, children and elderly people — as well as programs that help address the physical and emotional trauma endured before, during or after a crisis. But the reality is that the humanitarian system is straining under the weight of today’s multiple and complex global challenges — from conflicts that won’t end to the widespread displacement they fuel. 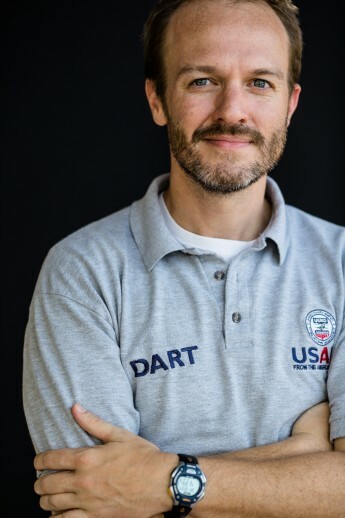 Andrew Kent is the Acting Humanitarian Policy Team Leader in USAID’s Office of U.S. Foreign Disaster Assistance. Today marks a most solemn occasion — it has been a year since the devastating 7.8 earthquake in Nepal took 9,000 lives and injured 25,000 people. Nepalis lost their homes, their treasured monuments and, in some cases, their livelihoods. The past 12 months have been some of the most difficult Nepal has ever faced. Since April 25, 2015, Nepal has suffered 445 aftershocks greater than 4.0, and a prolonged border and fuel crisis. 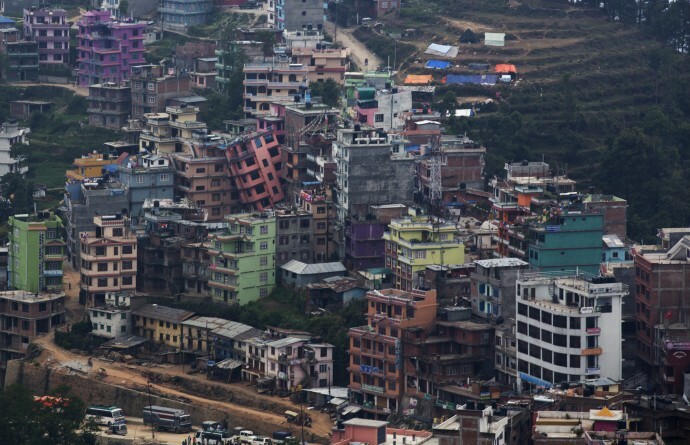 There is no doubt Nepal has weathered a very turbulent series of storms. But the clouds are beginning to clear. This optimism is born of my firsthand experience working in Rwanda for the last four years. Like Nepal, Rwanda is a landlocked country reliant on its neighbors for access to waterways, fuel and other important imports. Rwanda also suffered a very dark hour in 1994 when it turned on itself. But through significant reforms, Rwanda has seen sustained economic growth over the last decade, transforming into a knowledge-based, service-oriented economy — making it an increasingly valuable neighbor. The last parliamentary elections saw a majority of the seats taken by female candidates; other development successes, such as rapid poverty reduction and reduced inequality, have set the stage for even more success. Rwanda’s story offers hope, assuring people that even in the darkest of times, a nation can emerge stronger and more focused on creating the future it wants — vibrant and reflective of people’s hopes and dreams. 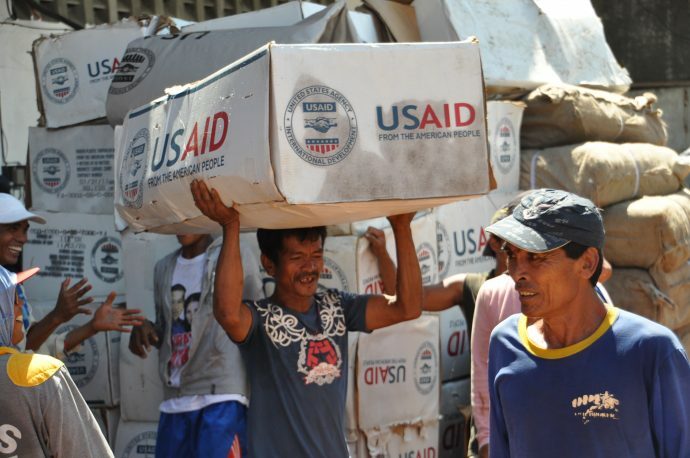 Immediately after the earthquake, USAID mobilized its partners to provide recovery support. 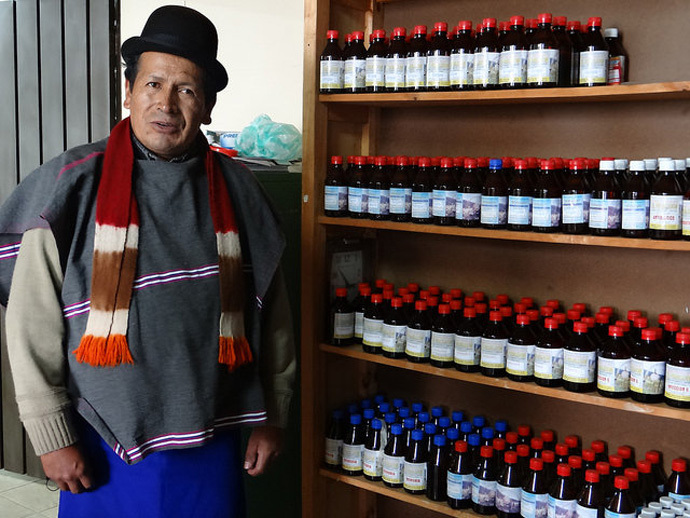 Our health programs are preventing the spread of diseases by ensuring access to clean water and proper hygiene, delivering family planning services and counseling to women, and distributing Vitamin A supplements to 3.2 million under-5 children. Our education programs helped get children back to school quickly and created safe spaces for them. 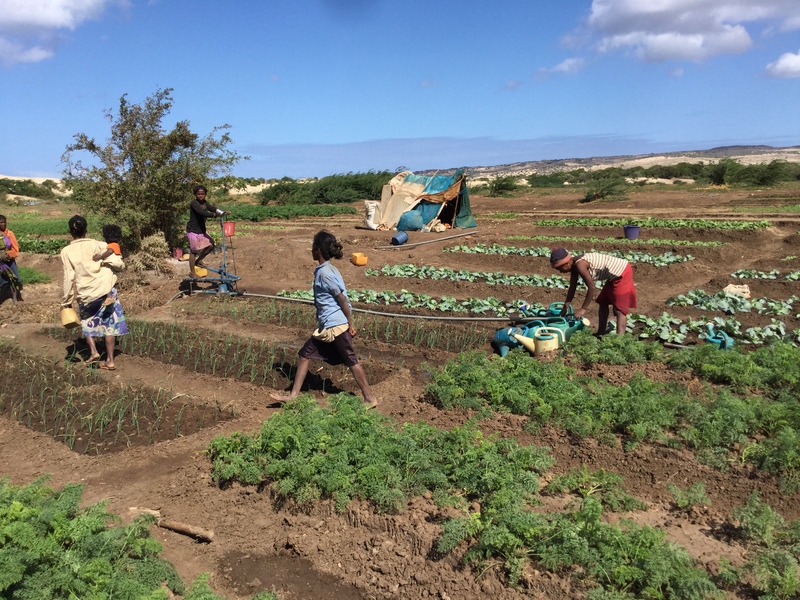 Our agricultural programs have distributed supplies and other farming tools so that fields and gardens could get replanted. And with the spike in human trafficking, our counter trafficking in persons programs are working to reintegrate women and girls back into their communities. USAID’s reconstruction investments include our contribution to the World Bank’s Multi-donor Trust Fund, which is supporting an earthquake beneficiary survey and providing cash subsidies for housing. The survey, deployed in all of the 14 most-affected districts, assesses earthquake damage, house by house, informing the Government of Nepal’s National Reconstruction Authority who is in most need of the cash grants. 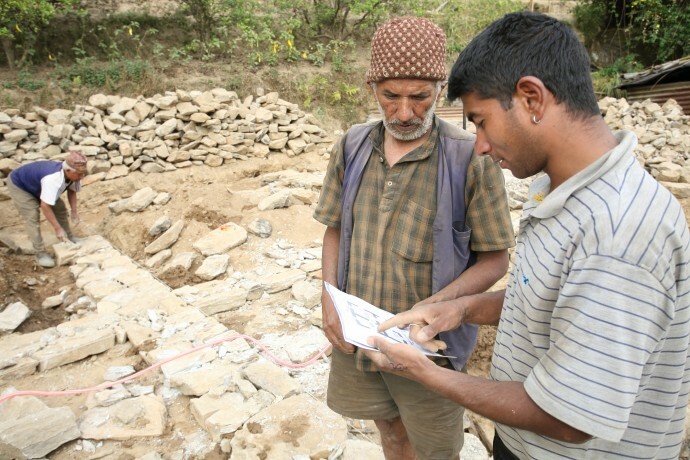 Another way USAID is supporting Nepal is through training and technical assistance. USAID is funding two housing reconstruction projects, Baliyo Ghar and Sabal, to train more than 13,500 local construction professionals and educate 285,000 affected homeowners on building earthquake-resistant homes over the next five years. These projects will also establish local-level reconstruction technology centers and demonstration homes, and offer vocational trainings. Finally, USAID is supporting communication and outreach in partnership with the Government of Nepal so that affected households know where to access resources and services and are armed with simple, actionable steps to build back safer. everything we accomplished together with the people of Nepal. When disaster struck and before aid arrived, Nepalis picked each other up and supported their families and neighbors with shelter and food. They define resilience and defy despair. I have only been here two weeks, and yet it is clear these qualities are inherent in the Nepali people. They are the heroes of the past year. Over the next two weeks, USAID’s mission in Nepal will remember the 9,000 people who perished a year ago today and honor the local heroes who represent the best of Nepal. 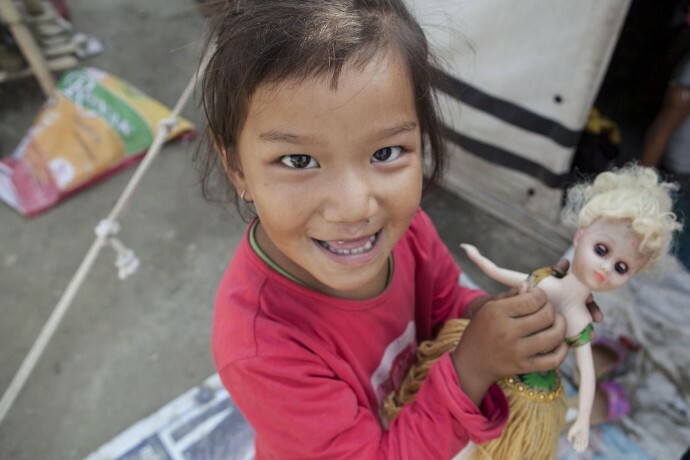 Follow us on Facebook and Twitter (#RebuildingLives) as we pay tribute to Nepal. On behalf of the mission, I extend my deepest condolences to those who have experienced loss over the past year, and assure the people of Nepal that we remain a committed partner as we build back together. I’m hopeful for Nepal’s future, and I look forward to serving as USAID Nepal’s new Mission Director. Peter Malnak is the new Mission Director for USAID/Nepal. On April 25, a magnitude 7.8 earthquake struck central Nepal—the worst to hit the country in over 80 years. It caused widespread damage across the country, nearly destroyed entire villages, and triggered landslides and avalanches. The earthquake was followed by more than 100 aftershocks, including a magnitude 7.3 trembler on May 12. 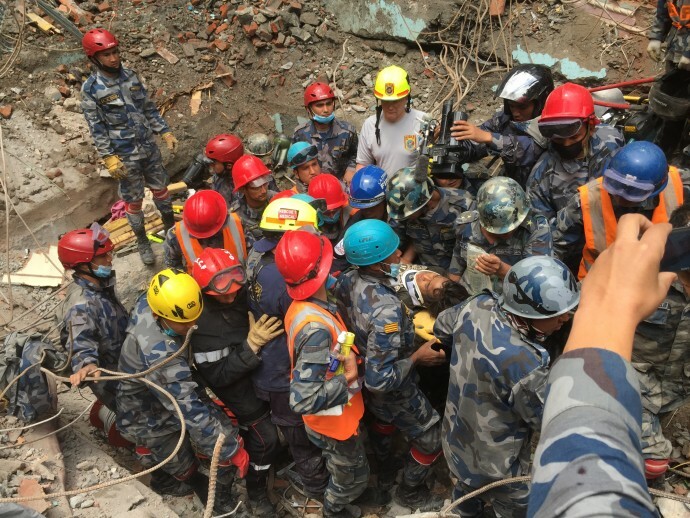 But in my opinion, the unsung heroes of this disaster were the Nepalese people, themselves, many of whom were able to play critical roles in their country’s response—all while dealing with a tremendous sense of loss. At the same time, we also trained homeowners and masons on how to make buildings more earthquake resistant—work that still continues to this day. 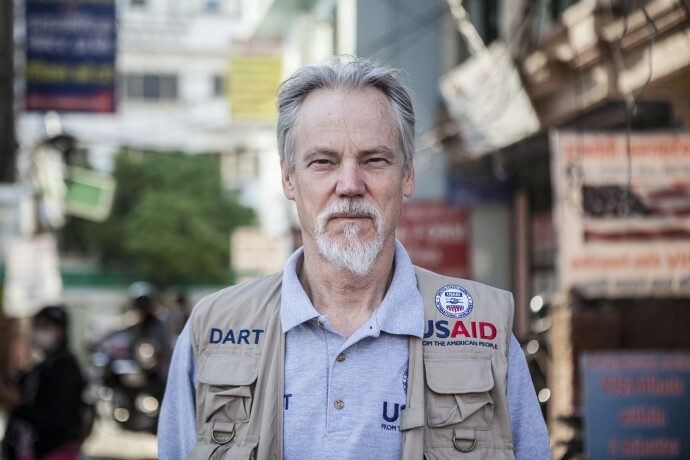 Bill Berger is the Senior Regional Advisor for South Asia for USAID’s Office of U.S. Foreign Disaster Assistance. 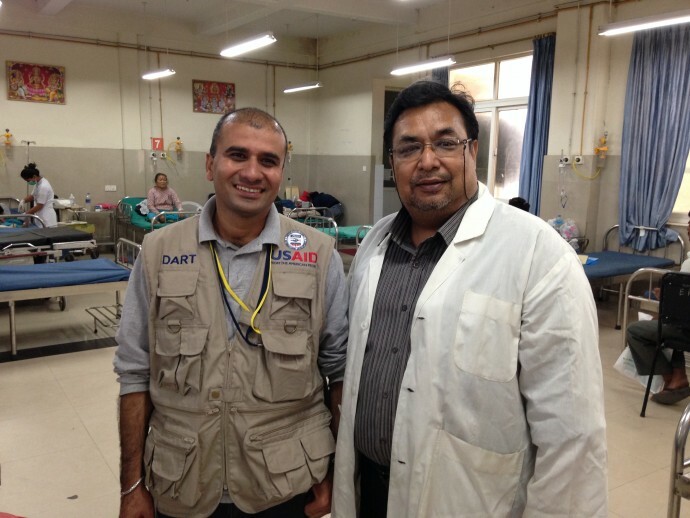 During the Nepal earthquake response, Berger served as USAID’s Disaster Assistance Response Team Leader. A massive 7.8 magnitude earthquake hit Nepal just as I was finalizing plans to spend the summer working there. At the time, I was a student at the College of William & Mary and a Summer Fellow with the AidData Center for Development Policy, a research and innovation lab that helps the development community improve transparency by mapping where funds and efforts flow. The geospatial data tools we create help universities, think tanks and civil society organizations make better decisions about aid allocation, coordination and evaluation. 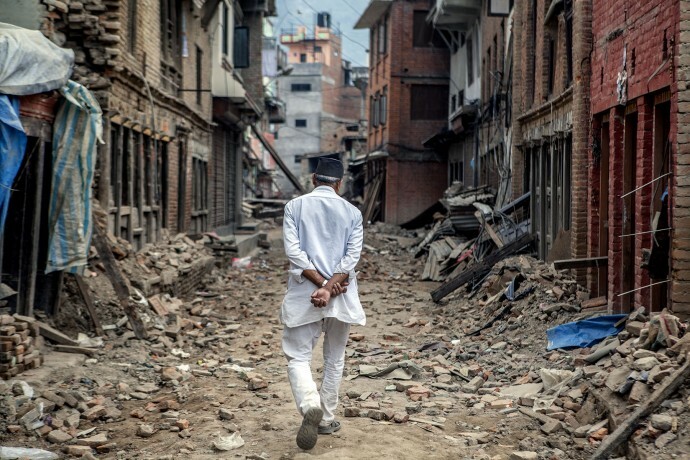 In the midst of planning for my trip to Nepal, the earthquake struck, leaving 9,000 people dead, entire villages flattened and hundreds of thousands homeless. After receiving news that our friends and colleagues were safe, my classmates and I looked for a way to help Nepal from our campus in Virginia. Our solution? Crisis mapping from our laptops. 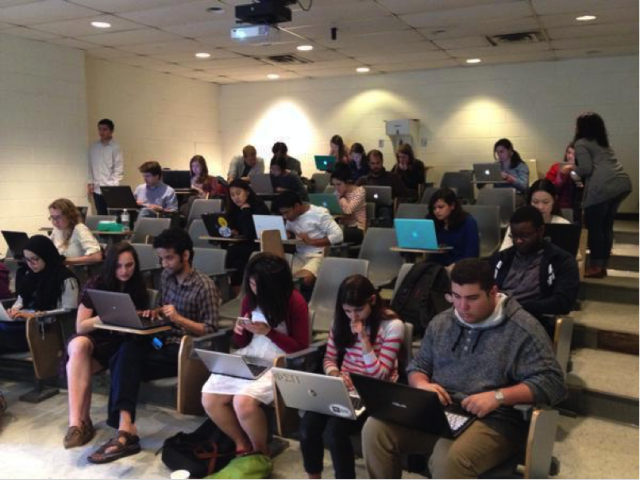 As student researchers at AidData, our day-to-day focus is tracking, analyzing and mapping development finance data. 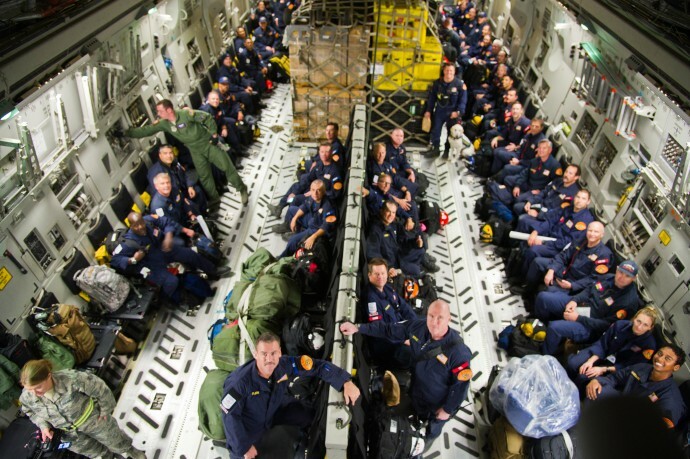 With specialized data skills, we were ready and equipped to rapidly collect, process and send spacial data to the people in Nepal who needed it. 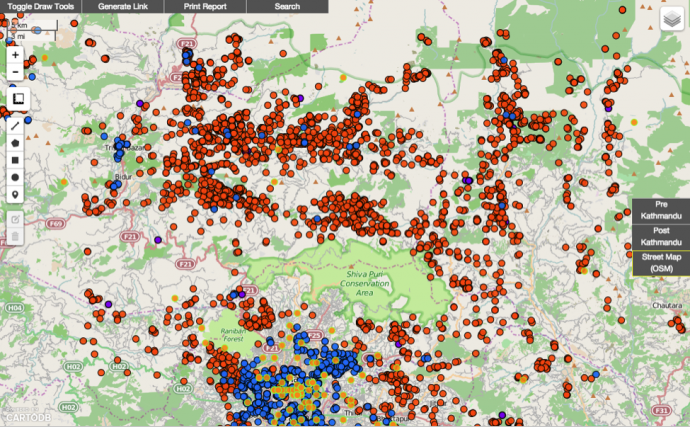 We partnered with USAID and other organizations to identify areas of Nepal in need of assistance, and mapped this information so that responders, community members and others could take action. Within 48 hours of the earthquake, my student team started Tweeting to recruit other students to data mapping trainings on our campus. More than 50 students responded to our call to action. We mobilized volunteers quickly, teaching them how to use the Humanitarian OpenStreetMap Team (HOT) platform to create and edit online maps of humanitarian and natural disasters — Nepal’s earthquake, in this case. Volunteers meticulously combed through aerial images of the Nepali landscape for buildings, roads and residential areas damaged by the earthquake. Along with thousands of other mappers around the globe, we also examined satellite images to pinpoint areas of destruction outside of Kathmandu and provide data on where shelters were. Over the next five months, volunteers at William & Mary provided more than 111,000 updates to the map. One challenge we faced was how to make all of our data, along with geo-referenced news reports and YouTube videos of the damage, accessible to policymakers and first responders. Save the Children and USAID helped us get our data where it was needed, informing the efforts of and keeping them out of harm during search and rescue operations. Even though the immediate needs of the earthquake have subsided, our work continues. Inspired by the mapping fervor following the Nepal disaster, students began organizing open-source ”mapathons” and even created an OpenStreetMap club to further develop their skills so that they will be ready to mobilize the next time the call for disaster assistance goes out. I was amazed by how quickly and easily students could plug into global efforts, make tangible differences and help the lives of strangers halfway across the globe. This experience spurred my passion for using data to positively impact global development and I look forward to doing even more to uplift humanity through this type of work in the future. Hannah Dempsey is a Research Assistant with AidData and a Senior at the College of William & Mary, one of eight university-based Development Labs that is a part of the U.S. Global Development Lab’s Higher Education Solutions Network (HESN). The AidData Center for Development Policy is one of eight USAID Higher Education Solutions Network (HESN) university-based Development Labs. As part of the U.S. Global Development Lab, HESN is the Lab’s flagship program to engage universities in global development using science, technology and innovation-focused approaches. AidData, based at the College of William & Mary, is made up of full-time staff as well as a cohort of student research assistants that collectively work to improve development outcomes by making development finance data more accessible and actionable. 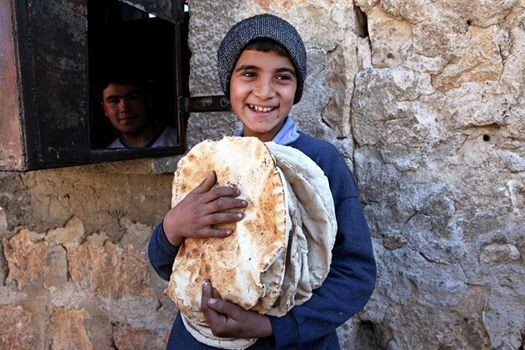 A young boy smiles as he walks out of his local bakery, arms full of freshly baked bread. Families such as this boy’s family rely on local bakeries to get their daily bread. Ayyush is 80 years old. She recently lost her son in the conflict in Syria. 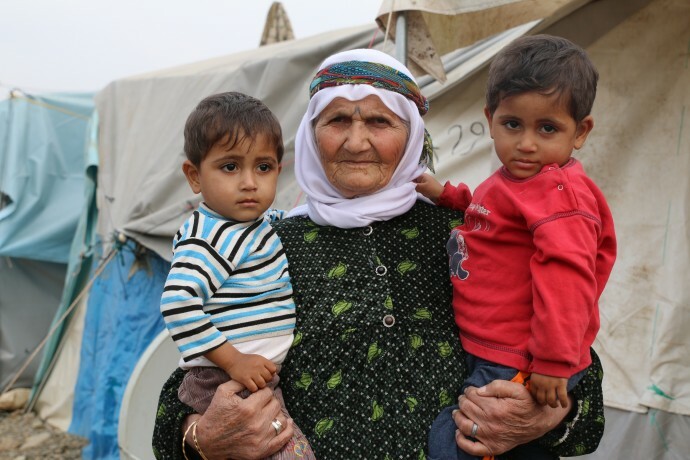 She now only wishes for more years ahead to raise her grandchildren. Ayyush and her family live in the Islahiye refugee camp in Turkey where they receive monthly food assistance through an e-food card program. Today, 4 million Syrian refugees are living in neighboring countries—Jordan, Lebanon, Turkey, Iraq, Egypt—in donated apartments, relatives’ spare rooms and tents. Another 6.5 million are displaced internally, trapped in a living hell that includes daily indiscriminate barrel bombing by the Assad regime on the one hand and Daesh’s murderous reign of terror on the other. Hunger for one. Since this crisis began nearly five years ago, USAID has provided $1.55 billion in food assistance, more than all other donors combined. Since 2013, we have given bakeries still operating inside the country 122,000 metric tons of flour and yeast, which comes out to more than 300 million daily bread rations. USAID has also helped distribute food vouchers—essentially preloaded debit cards—so refugees can shop for the familiar foods they yearn for and, at the same time, boost the local economies of Syria’s neighbors. 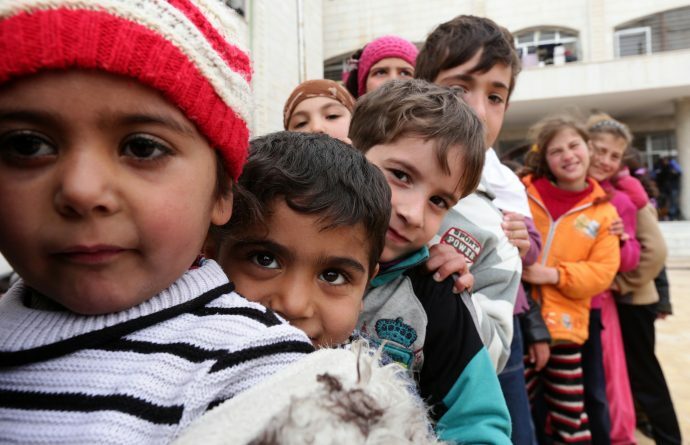 Nearly 2 million children in Syria and another 700,000 Syrian refugees are out of school because of the conflict. As Secretary of State John Kerry said recently: “The burden of the conflict falls most heavily on the smallest shoulders.” Without that daily stability in their lives, children are at risk of being exploited as laborers and young girls in particular may face the pressures of early marriage. USAID is also providing health care to people in need across 14 governorates in Syria—2.4 million this year alone—as well as clean water to 1.3 million. 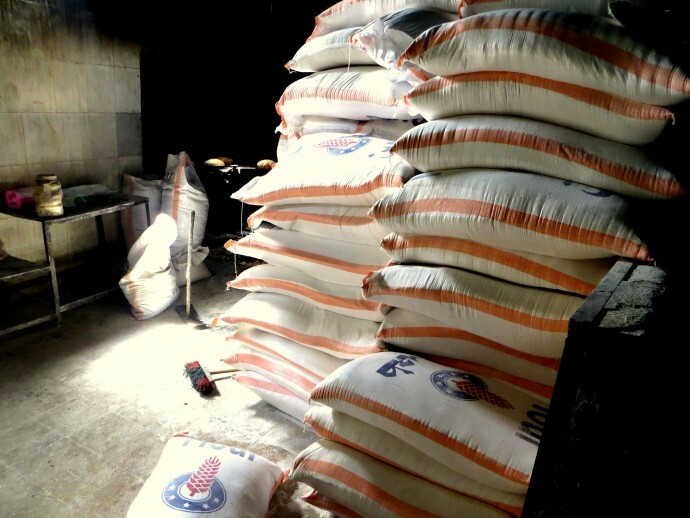 Bags of wheat flour inside a storage room at a Syrian bakery wait to be turned into bread. Bakeries such as this one are vital to providing food to Syrians in need. In the early 1980s, I began traveling to remote areas of the world, where I was able to visit indigenous communities that were living in peace as well as communities under threat from logging, mining and oil extraction. What I saw and experienced taught me about the threats facing indigenous peoples and about the incredible resilience that they continue to demonstrate against overwhelming odds. My real education began when I was asked by a group of indigenous leaders to help them get a voice in the 1992 Earth Summit. As we spent months going over the drafts of international agreements, word by word, I learned how indigenous peoples view these issues. 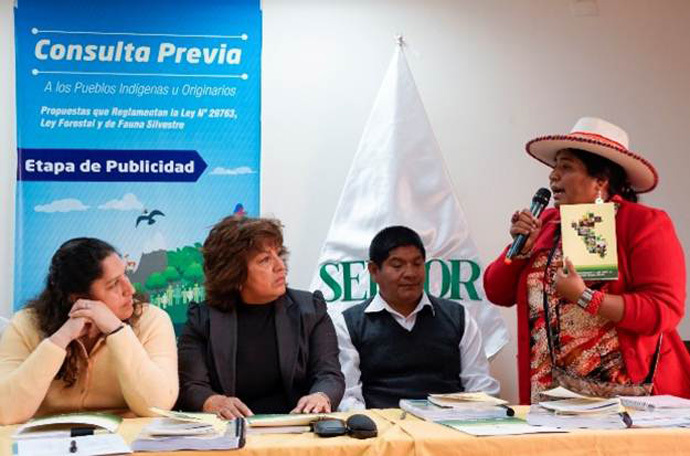 They value traditional knowledge in protecting biodiversity and responding to climate change, and argue that you can’t separate the question of territorial rights for indigenous peoples from environmental protection and sustainable development. Sunday was the International Day of the World’s Indigenous Peoples. As USAID’s Advisor on Indigenous Peoples’ Issues, I join with others around the world in celebrating the achievements and commemorating the struggles of the world’s indigenous peoples. They are the guardians of the Earth’s biological diversity, stewards of the world’s remaining intact ecosystems and have a crucial role to play in finding our way forward to a more just, equitable and sustainable world. Yet, globally, indigenous peoples face many development challenges as their culture and livelihoods come under increasing threat. They suffer from poorer health, are more likely to experience disability, and ultimately die younger than the rest of the population, according to the World Health Organization. 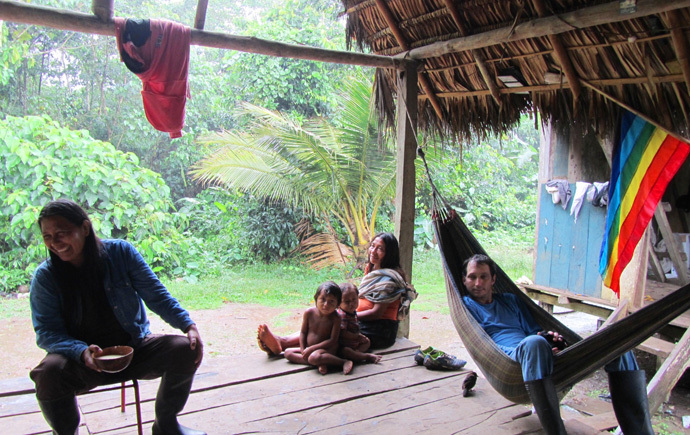 Seen as obstacles to development and progress, some indigenous peoples have been forced off of their traditional territories, robbing them of their way of life and traditional livelihoods, such as farming or fishing. Indigenous women and children are particularly hard hit by the structural inequalities that indigenous communities face around the world. 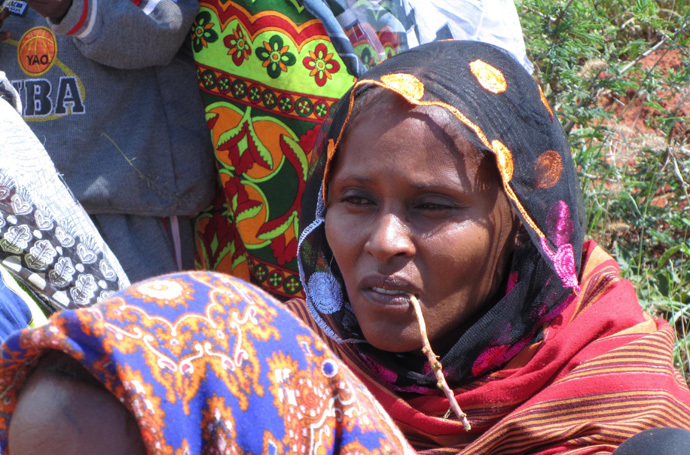 Indigenous women are often denied access to education, basic health services, and economic opportunities, leaving them disproportionately vulnerable in the face of natural disasters and armed conflict. 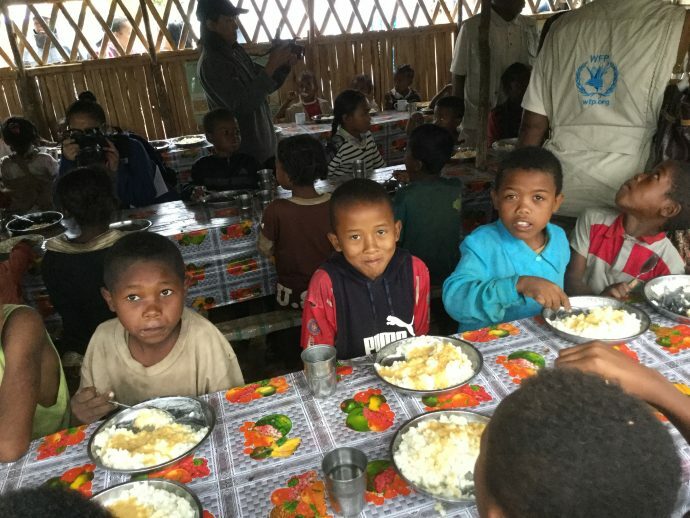 Many of the most widespread causes of death among indigenous children — such as malnutrition, diarrhea, parasitic infections, and tuberculosis — are preventable. If we are to ensure that the health and well-being of indigenous peoples is part of an inclusive development agenda, we must promote their right to self-determination, as well as their rights to collective ownership of lands, resources, and knowledge. Violations of these fundamental rights are directly related to lack of food security, lack of access to sustainable livelihoods, and the disruption of community cohesion, which all lead to poor health and development outcomes. Last September, the world’s governments and indigenous peoples gathered for the World Conference on Indigenous Peoples. In the outcome document of this historic event, governments made commitments to promote and protect the rights of the world’s indigenous peoples, outlining a path to build peace and promote human development. The U.S. Government has elaborated on our commitment in the Quadrennial Diplomacy and Development Review, recognizing that indigenous peoples play a pivotal role in promoting sustainable development and conservation, and fighting climate change. 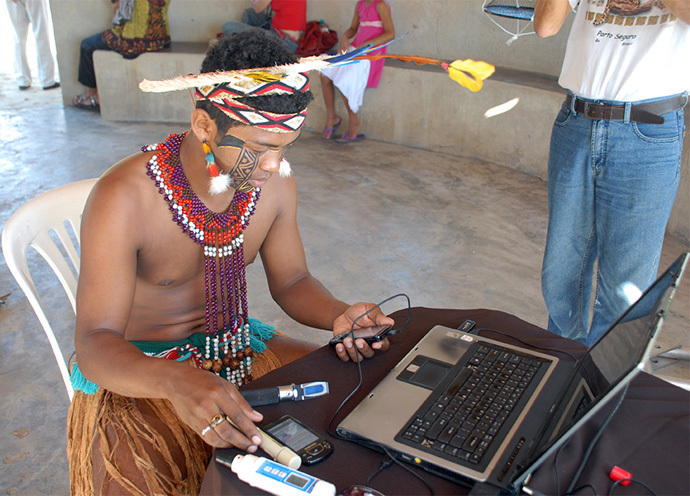 The concerns of indigenous peoples will be integrated in USAID and State Department policies and programs, and the U.S. Government will help them strengthen resource management strategies, legalize their territories and improve their livelihoods. As the world’s governments prepare to gather at United Nations headquarters in New York next month to adopt the Sustainable Development Goals, it is critical that they remember the role of indigenous peoples as critical stakeholders in achieving these goals. Only with their participation and by recognizing and protecting their individual and collective rights, can we have development that is inclusive and sustainable. 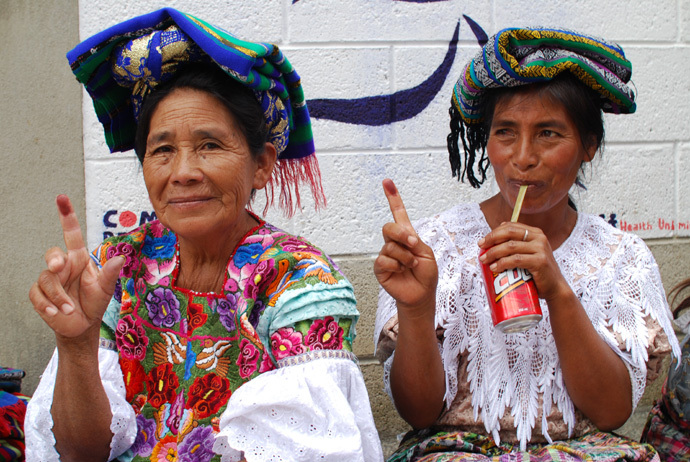 Today, USAID joins indigenous peoples around the world in calling for the full implementation of the United Nations Declaration on the Rights of Indigenous Peoples. Brian Keane is the USAID Advisor on Indigenous Peoples’ Issues. The summer sun is scorching the ground beneath our feet, and it is barely past 7:30 in the morning. We move to a perch on an elevated platform, shaded by a large old tree. From here, we see a sweeping, yet jarring view. A horizon line of neat concrete houses, dotted with seasonal potted plants on their roofs, stands in stark contrast to fabric roofs covered in plastic tarp that dot the landscape in the foreground. 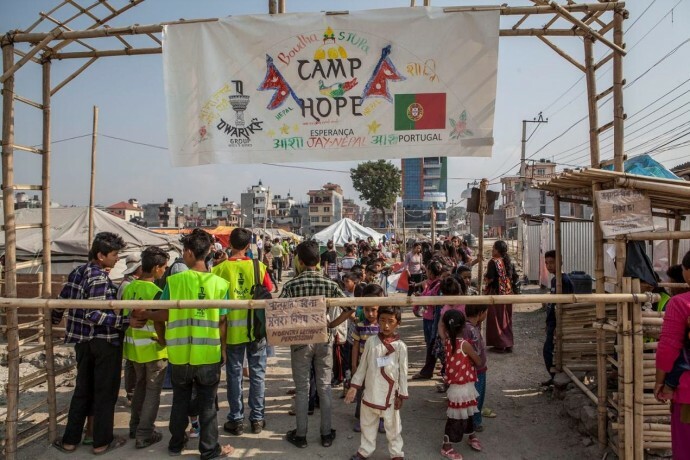 This is Camp Hope—a one square kilometer tent city in Jorpati, Kathmandu that serves as a temporary home to 330 households from five villages in the Sindhupalchowk district, just north of Kathmandu. The earthquake damaged or destroyed approximately 88 percent of houses in the district. The April 25 earthquake and aftershocks displaced more than 500,000 families, uprooting the foundations of their homes and turning the hill terrain that supported their villages into rubble. Camp Hope demonstrates the positive outcomes that are possible when private and public sector partners work together. At the camp’s main gate, young volunteers check and register all visitors before they are allowed to enter. Inside, a group of senior citizens, already freshened up and dressed for the day, bask in the morning sun as chickens cluck as they scurry past them. Camp Hope is alive and teeming with activities. It looks, feels, and even sounds like a village. Murmurs of conversation fill the air, people line up at the hand water pump, and children fill open spaces with laughter and play. A group of women wash clothes as the din of construction echoes in the background. Built on a community football ground, Camp Hope is an exemplary model of private-sector led humanitarian assistance – a clear demonstration of the impact that is possible when the private sector engages with other partners. 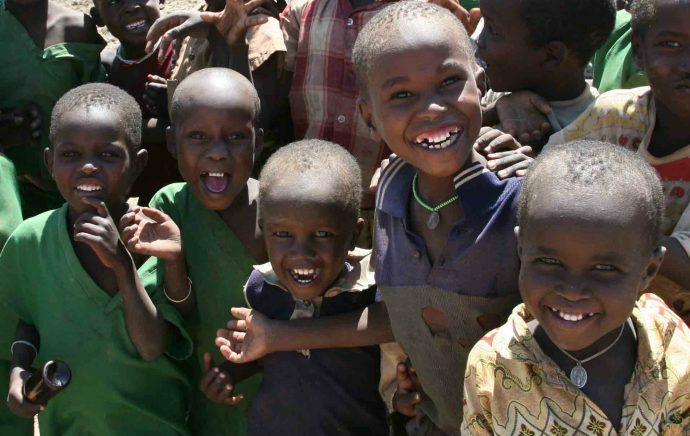 The U.S. Agency for International Development (USAID) soon stepped in with additional support. Heavy-duty plastic sheeting provided by USAID was utilized to create shelters that are strong enough to endure the monsoon season. 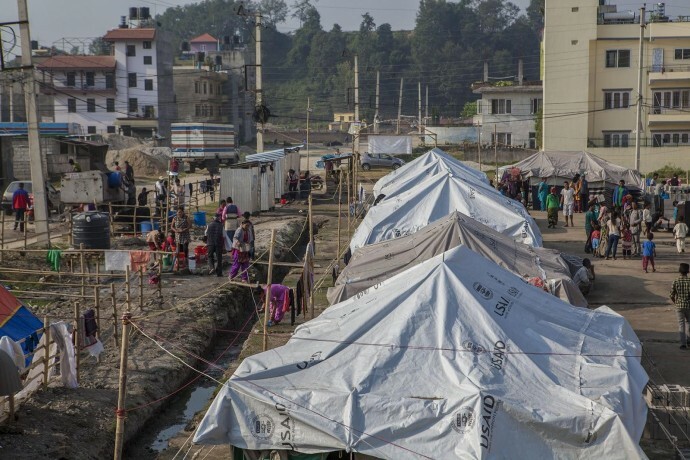 In addition to building temporary homes for displaced families at Camp Hope, USAID provided shelter and protection for approximately 310,000 Nepalis across earthquake affected districts. There are many advantages when a world-class hotel owner steps in to lead and manage a shelter like Camp Hope. “We always have a lot of resources at our disposal, and I am lucky to have my hotel team of engineers and technicians whom I could call on to help set up the camp,” said Sangeeta, who now manages the camp full-time. 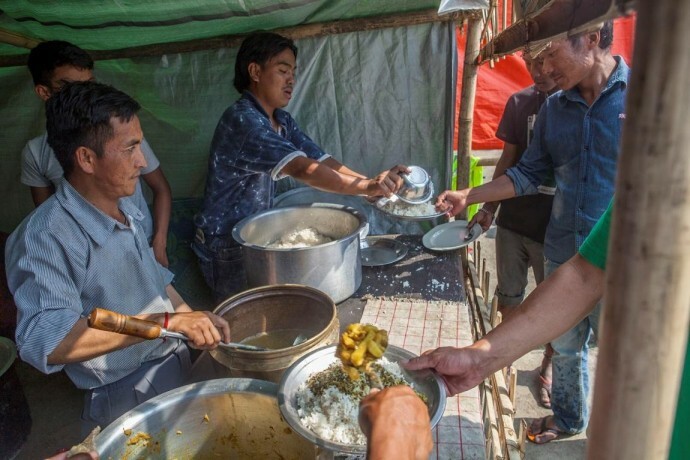 Adding a bit of comfort to the lives of displaced villagers, the camp offers a fully stocked kitchen and store room tent that is maintained by Sangeeta’s hotel. 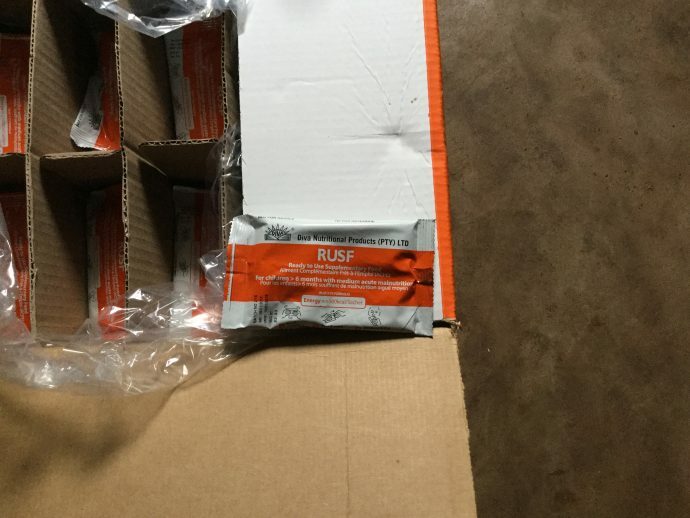 Camp residents are offered chicken once a week and eggs twice a week during their meals. While shelter, food, and basic medical services address the physical needs of residents, their social and emotional needs are also important. Camp Hope offers a variety of programs and spaces to help residents as they heal. A prayer tent allows the community to continue their spiritual rituals in a minimalist manner. In the afternoon, women in the camp engage in sewing, knitting and other crafts in a facility has been set up for training. The camp also enrolled 83 children in a local school and regularly schedules field trips for youth. “The plan, we hope, is to build back their villages so they can return to their communities,” said Sangeeta as she discusses what the future might hold for Camp Hope. But, returning home for many of the residents of Camp Hope will be a challenge. Questions remain, about when, if, and how rebuilding of some villages may happen. Massive landslides during the April 25 earthquake completely destroyed many communities. A discussion about the road forward—for vulnerable villages in the most affected regions and across the country—is at the forefront as the Government of Nepal convenes key donors and development stakeholders together at this week’s International Conference on Nepal’s Reconstruction. As Nepal’s longest standing development partner, U.S government’s commitment to Nepal has stood the test of time. 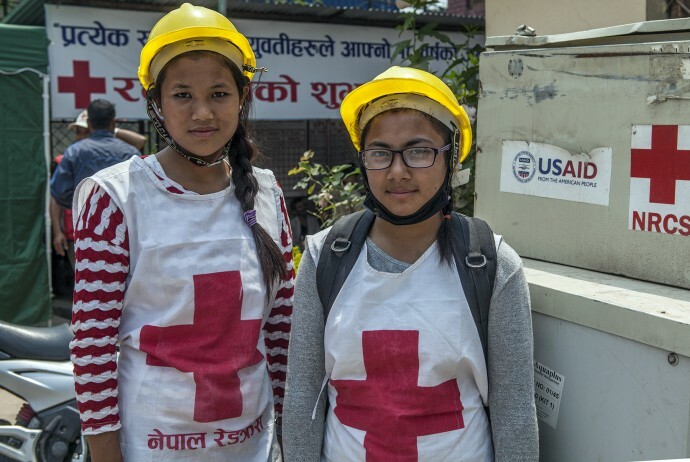 Our pledge at this week’s International Conference on Nepal’s Reconstruction increases the total amount of U.S. emergency relief and early recovery assistance to $130 million, and is only the beginning of our contribution to Nepal’s earthquake recovery, which will span multiple years. As recovery efforts continue, aid and investments from the U.S. Government will support efforts to get the most impacted people back on their feet and to create a Nepal that is more resilient in the future. 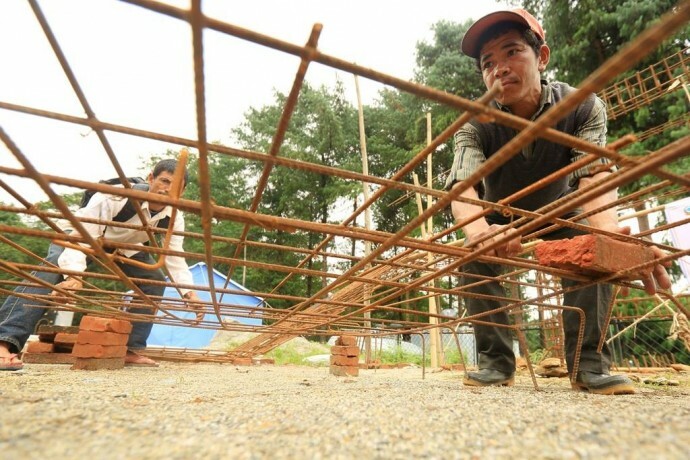 We will train Nepalis to rebuild seismically-stable houses in affected areas. We will help build temporary learning centers for children who are learning outside in makeshift tents. Efforts are underway to establish approximately 1,000 Temporary Learning Centers in earthquake affected districts. 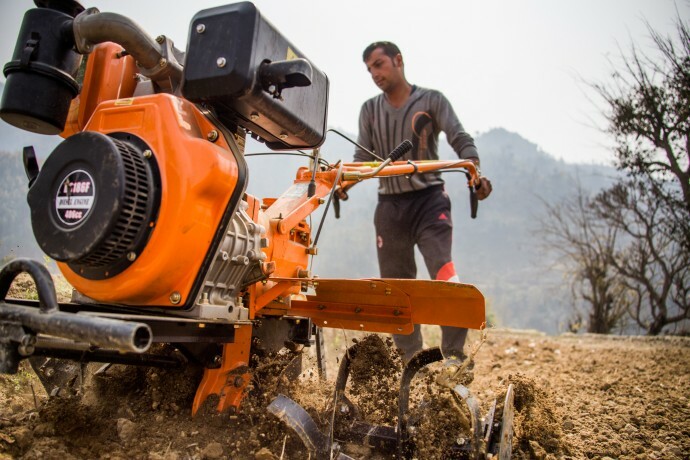 We are helping people rebuild livelihoods by injecting cash and strengthening agricultural systems, the economic lifeblood for nearly 75 percent of the population of Nepal. USAID has already jump started early recovery— our resilience and livelihood program is distributing cash for work to the hardest-hit families, so they can begin the enormous task of rebuilding damaged homes and much-needed infrastructure. We will continue to protect Nepal’s most vulnerable, including those susceptible to human trafficking. We will lay the foundations for a more resilient Nepal by building institutions that can respond effectively to future disasters. All of these efforts, along with support leveraged from the private sector, can and will help build back a better Nepal. Those in Camp Hope know that this dream is possible. Beth Dunford is USAID/Nepal’s Mission Director. Follow her at @beth_dunford, usaid.gov/nepal and nepal.usembassy.gov.